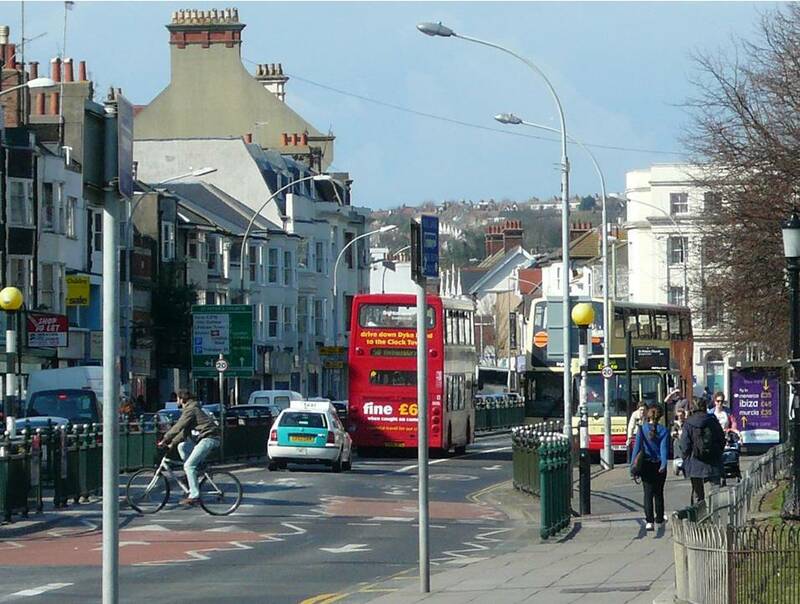 In July 2012 Brighton’s London Road Town Centre was one of 15 locations that were successful in winning funding from the Department for Communities and Local Government to become Portas Pilots. The funding has been made available to test recommendations in the Portas Review, aimed at regenerating the nation’s High Streets and town centres. The Brighton London Road Town Team is now looking for a Coordinator to deliver innovative projects which will help the London Road retail area fulfil its potential as an attractive, safe, vibrant and economically healthy place for residents, visitors, workers and students alike. This new and exciting role will be based at the Brighton & Hove Business Forum working closely with the award winning business crime reduction partnership and the Business Improvement District Manager and will include a significant public-facing element in London Road. The projects are varied, ranging from public arts events to crime reduction initiatives, and a key element of the job will be to act as the main point of contact for local businesses, Town Team members, the media and other interested parties. A job description and person specification is shown below. Use the ‘essential’ and ‘desirable’ headings in the person specification to outline why you would be a suitable candidate for the job (maximum four sides of A4, minimum font size 11). Use real life examples of your past work experience to support your answers and don’t forget to include your address, email address and contact number. Return your application to Brighton & Hove Business Forum, First Floor. 8-11 Pavilion Buildings. Brighton BN1 1EE. Act as the main point of contact for the Brighton London Road Portas Pilot, maintaining close contact with the Town Team, Government representatives and the local community. We would like you to help shape a series of projects aimed at helping the London Road town centre fulfil its potential. We want the London road town centre to be a safe, attractive and economically healthy destination for the many people who work, live, shop and study in the area. The Brighton – London road town team has secured government funding to test out new and innovative projects in order to sustain and improve the London road town centre. We would like to have your involvement, ideas and support to help ensure that the projects have the best possible impact given the limited funding available. The context of our successful funding bid will be introduced at the start of the event along with an overview of the project ideas that were included in the bid. The rest of the event will be run using a process called ‘Open Space’. Open Space allows everyone at the meeting to raise the issues that matter to them, share ideas and consider recommendations for the future. Please note that numbers for this event are limited and will be allocated on a first come, first served basis. RSVP to Rob Dawson (01273) 291104 / rob.dawson@brighton-hove.gov.uk by Friday 8 March. We look forward to seeing you, delicious food and drink will be waiting for you on arrival.